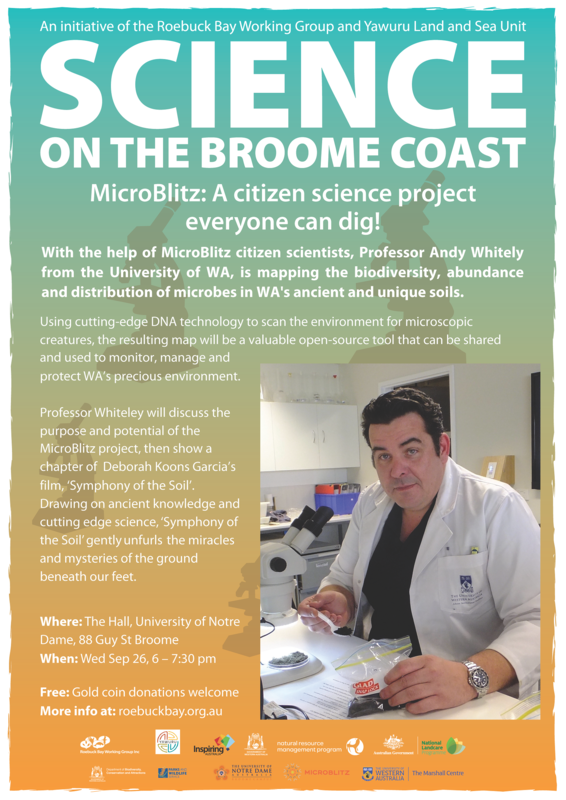 MICROBLITZ: CITIZEN SCIENCE TO DIG! With the help of MicroBlitz citizen scientists, Professor Andy Whitely is mapping the biodiversity, abundance and distribution of microbes in WA’s ancient and unique soils. Professor Whiteley will discuss the purpose and potential of the MicroBlitz project, then show a chapter of Deborah Koons Garcia’s film, ‘Symphony of the Soil’. Drawing on ancient knowledge and cutting edge science, ‘Symphony of the Soil’ gently unfurls the miracles and mysteries of the ground beneath our feet.